1.) Dust Off Your New Year’s Resolutions: Use the fresh energy of spring to revisit your list of New Year’s resolutions. What were your budgeting goals? What were your savings dreams? Have you achieved any of those goals? If not, what’s holding you back? Do it today: Dig out your New Year’s resolutions and go through your financial goals. Tweak and adjust as necessary. Create a new tracking system if the existing one isn’t working. Then, get out there and own those goals! 2.) Sweep Out Your Monthly Budget. Review your spending habits of the last few months. What are your weak spots? Where can you cut back? It’s time to take stock! 3.) Pile Up Your Savings. Once you’re trimming your budget and taking home a larger check each payday, why not bump up your savings? You can add to an existing fund, build a new one, open a Savings Certificate or start investing. Speak to a Five Star Credit Union member specialist to learn about our fantastic savings options. Do it today: After choosing a savings option, stop by Five Star to set up a Direct Deposit. Then, your money will be automatically transferred from your checking account to your savings vehicle. Savings, done! 4.) 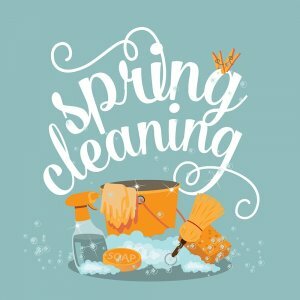 Toss Your Debt This spring, while you make piles of junk to toss in the trash, why not get rid of your debt too? 1.) Make bi-weekly payments. Instead of making monthly payments on a loan, do half-payments every two weeks. This way, your payments will be applied more often so less interest can accrue. You’ll also be making 26 half-payments each year, which translates into an annual extra full payment, shortening the life of the loan by several months or even years. 2.) Round up your payments. Round up your monthly payments to the nearest $50 to shorten your loan. The difference is usually too small to make a tangible dent in your budget, but large enough to knock a few months off the life of the loan and save significantly in interest. 3.) Make one extra payment each year. If you can’t make bi-weekly payments, but you like the idea of an extra yearly payment, accomplish the same goal by committing to just one more payment in the year. You’ll only feel the squeeze once (tax or bonus time, perhaps) and you’ll still shorten the life of the loan. 4.) Refinance. If interest rates have dropped since you took out your loan or your credit has improved dramatically, contact Five Star Credit Union to ask about refinancing, whether the loan is with us or not. Refinancing makes the most sense if it can help you pay down the loan sooner. With a lower interest rate, you should easily be able to afford shortening the life of the loan. 2019 is here – are you ready? The best way to usher in the New Year is with plans for financial improvement and resolutions to do more. 1.) Tune your budget. A budget shouldn’t be scary. It’s a blueprint for your month. Start with the income you expect and your fixed expenses such as mortgage, insurance and utilities. Make sure to incorporate your savings goals, and the remaining money is designated for your other expenses. Now you will know where all of your money goes each month. 2.) Plan ahead to meet your goals. Consider how you will accomplish your goals. You might have short-term goals, such as purchasing a new home, as well as long-term goals, like retirement. Each set of goals requires different kinds of planning and saving. 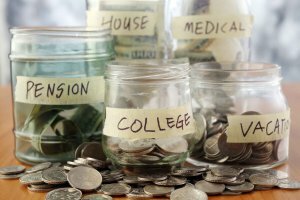 Financial planners recommend setting up a separate savings account for each goal. This way, your progress toward that goal is clear. 3.) Spend mindfully. A good way to start the year is by identifying your wants and needs. Your needs are necessary for survival and include food and shelter. Your wants are things you desire like a new car or a vacation. Your needs should go first and remaining money can be allocated for your wants. For many of us, the lines between wants and needs are blurred. Being honest will help you achieve your financial goals quicker. 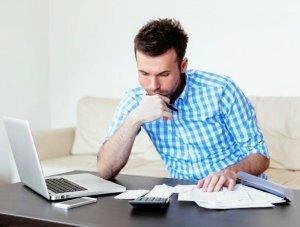 These are just a few ways to prepare financially for the coming year. With a little attention to some often-overlooked details, a little perseverance and a mindfulness throughout, you’ll be moving forward with a strong foundation and positive outlook. Make 2019 your year! 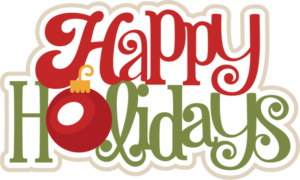 The holidays are supposed to be a time of joy and celebration. But too many of us find them to be a time of great financial stress, too. You want to give gifts to so many loved ones but you need to balance how much you spend; but not put yourself into a financial bind? Here’s some ways to balance it out. Start early. By starting well before Thanksgiving, you have more options. There are more sales to choose from, and you have more time to shop. But starting early gives you another valuable advantage – time. Make a plan. Don’t impulse spend. Before Thanksgiving, write out your gift list. Have a maximum amount you can afford, and dial that number back just a bit. Once you have your list and the number of dollars you’re planning to spend on each recipient, add it all up. If it’s too high, refine the dollar amounts on your list and recalculate. Repeat until you have landed in your spending comfort zone. Join a Christmas Club. Back before nearly everyone had a credit card, people joined Christmas Clubs at credit unions. Their credit union would help them set aside money each month for 11 months. Then, at Christmas time, that money was available, with the interest earned, for holiday spending. You can join a Christmas Club here at Five Star! Any one of our Member Relationship Specialists can assist you! 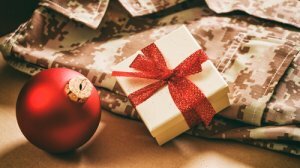 Try these tips and you will have a Merry Christmas without a lump of coal. Many people want a different kitchen. It’s the heart of the house. It’s where everyone gathers to talk, eat, and just hang out. It should reflect the owner. But, to get it right, means a remodel. That can get expensive. Here are ways to do it right. With $5,000, you can give your kitchen a superficial touch-up that can pack a big punch. That means new paint, replace the faucets, pick up a new light fixture, reupholster or change the fabric on your chairs and windows and spruce up the area with modern accessories. With $15,000, you can do all that plus buy a new appliance or two, replace your countertops and install new, budget-friendly cabinets. Kitchen upgrades can pay for themselves. 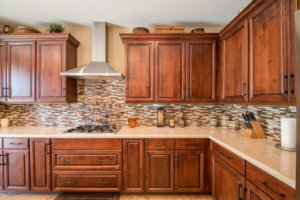 Experts say that recently remodeled kitchens usually return between 80 and 105 percent of their cost when a home is sold. Don’t forget your sink when upgrading your kitchen.It can modernize the look and feel without costing much. Brushed nickel is the most popular choice for faucets, largely due to its durability. If you hate scrubbing those fingerprints and water spots, you’ll be happy to hear that nickel conveniently hides dirt and grime. The least expensive faucet finish is chrome. For a long-lasting material that won’t cost a pretty penny, go with brass instead. The trending countertop choices are granite, quartz and stone. These materials are beautiful, easy to maintain and can last for years and years. If these options are not in your budget, consider engineered stone. It will give you a similar look for a cheaper price. For something more budget-friendly, you might want to go with ceramic tile. It’s durable, comes in almost any imaginable color and is a fraction of the price of stone. If you need more help with planning the budget for your kitchen remodel, call, click, or stop by Five Star today to learn about our Personal Loans, Home Equity Loans and Home Equity Lines of Credit. Debit and credit card compromises continue to rise. At Five Star, your data is important. However, you can’t always control who has access to your card. It’s smart to think about your purchases and the card that you use. Here are four purchases where cards are most often compromised. Gas stations – Card skimmers at gas stations are real. Use your credit card instead of your debit card, you’ll have an added layer of protection against fraud. Always check the card reader to make sure a skimmer is not in place. Unfamiliar locations – While on vacation, think before you swipe. You don’t know the area and you can’t be certain which clerks are to be trusted. You’re better off paying with a credit card or with cash so your purchases are protected. Online purchases – When buying expensive items or everyday things online, use your credit card. Many times you have dispute rights in case the product doesn’t turn out as expected. Plus, if the site is compromised, they don’t have access to your checking account. Restaurants – When you hand your debit card to a server, you don’t really know them. The server has more than enough time to clone your card and then use it or sell it. You are better off using a credit card or cash to pay for your meal. Download the Five Star app so you can control your cards and freeze them after purchases. By freezing the card, hackers can’t use it and they will move on to the next one. Search Five Star in your device’s app store. When you and your spouse or partner take different approaches to money, it causes tension. Money is one of the major reasons cited for divorce and breakups. Why? Because money is personal – communication is important. You have your ideas on how to spend it, save it, and earn it. It’s inevitable that your approach will clash with your spouse or partner. Here’s a few ideas that will get the finance discussion going in a constructive way. Agree on a time that you’d like to talk about money and, together, choose a place that works for both of you. Make it a time when you both can focus on the topic without distractions. Would you like to spend a week at the Grand Canyon? Wouldn’t it be amazing to buy a home next year? I’d love to finally upgrade our car. Talking about future goals sets a positive tone for the conversation. Now that you’ve shared your goals, start talking numbers. How much would it really cost to achieve what you laid out above? With your goals in mind, start building a plan. Together with your spouse or partner, create a reasonable savings plan that will help you reach your shared goal. Let’s turn the dream into reality. Discuss specific ways to cut back. Don’t point fingers; each should admit to their own shortcomings and be honest about your own vices. Together, work out a monthly budget that accounts for all of your expenses and your new savings goal. Put in the budget a number you want to save each month. The next step is watching your Five Star savings account grow. The more you save and then pay for your goals in cash, the happier you will both be in the long run. By being on the same page, you will see less tension and more happiness. If you need help getting started, stop by your local Five Star branch. We’re here to help! It’s the first of the year and many are thinking about New Year’s resolutions. A popular resolution is saving money or living more frugal. But, does living frugal make you happy? The perception is that spending money will make you happy. However, it usually leads to more problems down the road; namely heavy debt. That debt then leads to stress, worry and unhappiness. It may be hard to believe but living frugally can make you happier than living lavishly. If you’d like to start to live more frugally, get focused by establishing a goal. Write down your objective and place reminders of your goal where you’ll see them often. A few things to remember about living frugally, you will learn to repurpose, you will begin having more experiences than objects, you will find joy in helping others because you have more money, and your debt will disappear. Here’s a few ways to get started. The savings will amaze you. Make a list of what you’d like to do, how much money you’ll need to achieve it, and make a plan. Brown-bag your lunch instead of eating out. Make a weekly meal plan and cook your meals at home. If you have credit card debt, consolidate the debt into one loan or into a single, lower-interest Five Star credit card to save on interest charges. Once you’ve consolidated your credit card debt, keep your oldest card, but use it infrequently and close all others. When grocery shopping, clip coupons and look for sales. Find ways to lower your monthly bills. Consider giving up your cable service and stream. Give frugal living a try. You have nothing to lose but debt – and only happiness to gain! Impulse buys can wreak havoc on even the most carefully constructed budget. Retailers know this – that’s why the checkout counters are packed with dozens of things you may not really need. It’s important to teach kids that impulse buys are why you come home from those stores having spent more than you had planned. Learning to curb those impulses is a constant struggle. Here’s a strategy you can employ to teach your kids that turning down those small impulses will mean big saving and helps your money to grow. Choose a store you and your child visit regularly. It can be Target, Walmart, the local grocery, or even a dollar store, so long as it has its fair share of tempting impulse purchases that your child usually begs for. Give your child a designated amount of cash for a treat. The amount can be chosen at your discretion and should range anywhere from fify cents to five buck. You don’t have to do this every time you go to a store with your child; it can be just once a week or even once every two weeks. Tell your child that they are going to be in charge of purchasing their own treat this time, using the money they’ve been given. Here’s the kicker: If your child doesn’t spend all their allotted money at the store, you’ll let them keep the cash and match the amount when you get home! And then they can do whatever they want with that money. They can choose to use it the next time you go to the store, they can add it to their savings, or just put it away for a rainy day. Make sure your child is clear on the idea that turning down an impulse purchase today means letting it grow into big bucks tomorrow. Your child is learning to use self-control, and at the same time, discovering the basic principles of investing. How’s that for one small trip to the grocery? Get an accurate head count of your dinner guests to make sure that those that are invited are indeed planning on showing, and only then begin planning your menu. While making your invitation list, find out your guests’ individual tastes and diets. Be sure to ask about particular foods. 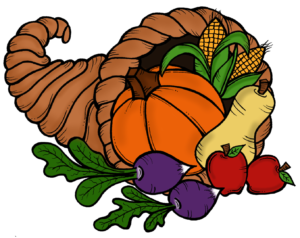 If something on your menu isn’t very popular with your guests, skip it – even if you think it’s “obligatory” for a Thanksgiving table. Cut your spending and your stress in one step by answering an enthusiastic “yes!” to every guest who asks if they can bring something. Don’t just say “anything’s fine,” consider creating a Google Sheet with your planned menu and let your guests input what they’d like to contribute. Most people will load up their plates to capacity, regardless of the plate’s size. Curb the wasting at your table by using smaller dinnerware. They can always go back for seconds. You can set a beautiful holiday tablescape without blowing your budget with a little imagination. Shop the local dollar store for discounted décor that still packs a punch, like colored vases, fake flower arrangements and other centerpieces. Look for easy, inexpensive DIY ideas online. Now is one of the best times to move your money to Five Star. 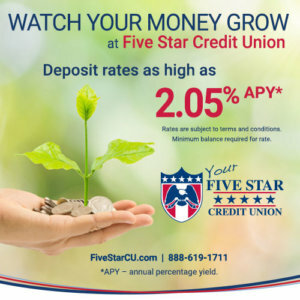 In August, Five Star raised its deposit rates for certificates of deposit. You can now make as much as 2.05 percent annual yield (APY) on a 48-month certificate of deposit with a minimum balance*. If you prefer a smaller minimum balance, the deposit rates are still very good at 1.50 percent annual yield**. To get the best rate available, you will need to be a Five Star level member. It’s pretty easy to achieve that status. Open a checking and savings account with 10 transactions per month, along with at least one of either a direct deposit, debit or credit card spending of at least $500 per month, e-statements, or a certain type of loan. This will qualify you for a .25 percent bump on the annual percentage yield. Let’s do some math to show you how you can make some serious money on your certificate with Five Star. Let’s say you take out a 48-month certificate of deposit for $100,000. If you are a Five Star level member, you will get a 2.05 percent APY rate for 48 months. You will make $8,544.09. That is some serious return on your investment. Plus, you don’t have to worry about the volatility of the stock market. This is safe and secure. Five Star has the most competitive rates around. If you want to make the best return on your hard earned money, deposit it at Five Star. By becoming a Five Star level member, you are rewarded with a quarter percent bump on your rate. Don’t get frustrated, get happy and watch your money grow at Five Star. *For a 2.05% APY, a $100,000 minimum deposit is required, as well as being a Five Star level member. **For a 1.50% APY, a $500 minimum deposit is required, as well as being a Five Star level member. Gas, electricity and water are necessities that usually aren’t thought about a lot. However, in the winter they can be prime vehicles for scams. If someone called to say your account was overdue and that your service would be shut off – it’d be frightening. You would do whatever they say to avoid the consequences which is exactly what scammers hope. The Department of Consumer Affairs warns of a new scam targeting utility customers. A scammer calls claiming the consumer is overdue on a utility bill, and that someone is coming to turn the power off. 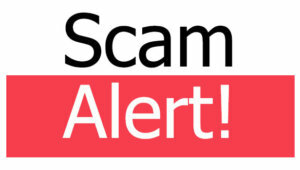 The scammer will instruct the victim to buy a prepaid debit card. The scammer asks for the number on the card and then takes its whole value. Transactions on these cards are difficult to trace, which means recovering the money is nearly impossible. If you’re targeted by one of these scams, do not comply. Here’s a few things to remember. A utility company representative would not tell you that your service will be shut off in minutes unless you pay immediately. There are regulations that govern how and when service can be turned off. The company is required to send a notification of termination, a letter identifying the reason, the date, and how you can prevent this shut-off. This process is cumbersome, so most companies won’t send one until you’re more than two payments behind. 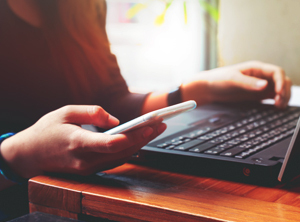 Turning your service off is expensive, so utility providers will first make several attempts to contact you. If you are called, ask for a record of past attempts at contact. A utility company will gladly provide this information; a scammer will hesitate when questioned. Utility companies process hundreds or thousands of payments every day using established procedures. They will never insist on a specific means of payment. Always choose a secured means of payment, like your credit or debit card. These cards offer fraud protection and limit your liability if something goes wrong with the transaction. If you’re not using online banking, Five Star offers automatic bill payment to make paying your bills simple. You can access it through www.fivestarcu.com. If you are called by a scammer, use the procedures above to ensure you do not become a victim. The holiday season can be beautiful time spent with family. So many memories are made not just at Christmas but the weeks leading up. With the holiday season, comes scams. It’s an unfortunate part of the holidays. There are a few practical things you can do to ensure that you are not taken advantage of or have your Five Star account compromised. Before we got any further, always remember that your account is our utmost priority. We take great pride in keeping it and all of your information as secure as possible. But, scammers are everywhere and they are more sophisticated today than they were this time last year. The old adage that if it sounds too good to be true, it is. Always remember that when shopping online and through Craigslist or Facebook marketplace. They will simply copy a picture from the internet and post it when they don’t really own the product. It’s always good to ask specific questions about the product before you buy. Another scam that happens a lot during the holidays is the email scam. You receive an email from FedEx, Amazon, or UPS stating that there is a problem with a delivery. Even though you did not order anything, they will try to make you think you did. They ask for personal information or credit card numbers to clear up the problem. Remember, large companies will never ask you to divulge sensitive information in an email or through a text. They will always ask you to update your account information on their actual website. Look closely at the email reply address and it is usually not affiliated with the major company. The big retailer also appreciates when you alert them that their name is being used in a scam. Finally, be smart when you purchase online and have the packages delivered. Thieves will drive through neighborhoods looking for packages on doorsteps. If you are going to be out of town or working, alert a neighbor to be on the lookout for you package. Another idea is to have the package delivered to your work address; assuming that is allowed at your workplace. Some simple ideas can help ease the stress of the holidays by not having to take extra time to talk to the police or your financial institution about being scammed. The holidays are a wonderful time. The smarter your are while making purchases the less likely scammers are to be successful. One of the more common questions Five Star gets is, “How can I pay down debt when I have so much?” This can be one of the most stressful things in a person’s finances and especially marriages or young earners. 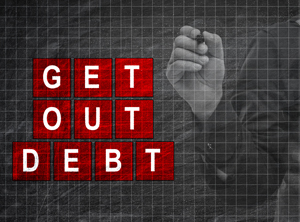 There are a few steps that you can take to help reduce debt and get control of your finances. It will take some work at first, but it will be worth it. First start out by figuring out how much you owe, to whom you owe it, at what interest rate you’re paying it back, plus any other fees, penalties or costs that go with any of your debts. This gives you a snapshot of how much debt you have. Sometimes it’s hard to look at it, but that’s the first step to paying it down. Next, lower your interest rate, if possible. A higher interest rate can sometimes eat up a lot of your payment. This is usually the best way to climb out of credit card debt. A second way to begin climbing out of debt is by consolidating debt into one loan. Make sure the interest rate is lower. This will mean more of your payment will pay down the principle debt. If your car loan interest rate is high, look to refinance the loan to get a lower interest rate. You might also consider selling the car to get one that is cheaper while you get out of debt. This way you can put more money toward existing debt. Five Star can help you put a plan together to get out of debt. Five Star is offering 0% interest on balance transfers until June 2018. There is a 3% transfer fee, but it will most likely save you money in the long run. You can also get a 5.99% balance transfer with zero transfer fees for life. Check out your options at your local branch or have a Five Star professional call you and get you started on transferring those large balances. Fraud is more prevalent today than any other time in our country’s history. With so much business being transacted online, it’s inevitable it will happen. 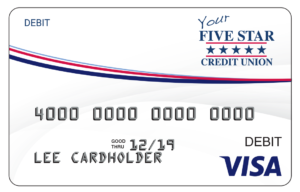 Five Star goes above and beyond to keep your accounts and debit/credit cards safe. If you don’t know how these transactions work, it is basically you tell a merchant you’d like to buy something, the merchant tells Five Star to pay money from your account, and then Five Star asks you to authorize the transaction. It’s quick and easy. However, if something goes wrong in that process, you assume it’s the fault of one of these three parties. That’s not necessarily the case. Fraud can happen at the Point of Sale (POS) terminals which is the systems that process credit and debit transactions. POS systems have other vulnerabilities, from PIN tracking keypads to miniature cameras. Always be watchful for small modifications in the keypads and other devices. If something looks suspicious, back out of a transaction or ask for another register to use. Some businesses keep costs low by using third-party payment-processors, which tally up the day’s transactions of a merchant, bill the appropriate entity, and pay the merchant. In exchange, they take a tiny percentage of each transaction. There’s lots of competition in this niche and that can mean that companies cut costs to stay profitable – often by cutting corners with security. When shopping at unfamiliar places, be extra cautious by using a pre-paid debit card, cash or another form of non-electronic payment. Don’t be afraid to use an ATM – they’re usually maintained by organizations with in-house processing, thus limiting the steps your data goes through. The last stage in this chain is the clearing house – external organizations that transfer funds, acting as the intermediary for the merchant’s payment-processor and the credit organization. There’s a wide network of American Clearing House (ACH) payment centers. Most of them smoothly process millions of dollars worth of transactions every day. However, occasional mistakes happen and some transactions are processed improperly. Clearing houses are insured against losses and they quickly correct mistakes. Every payment system has potential for fraud. Electronic payment processing is among the most secure forms of exchange possible, and its failures are fixable. Swipe with confidence, knowing your liability is limited thanks to the strong trail of protection offered by electronic payment processing. Five Star takes fraud seriously and works every day to ensure your account will not be compromised. Take a few seconds before every transaction to make sure the machines and businesses are also taking fraud seriously.